Documentation on FORScan Lite for iOS. Documentation on FORScan Lite for Android. Documentation on FORScan v1.3.x for Windows. Documentation on version 2.x is still in progress. For now only separate issues addressed by users most often will be posted here. 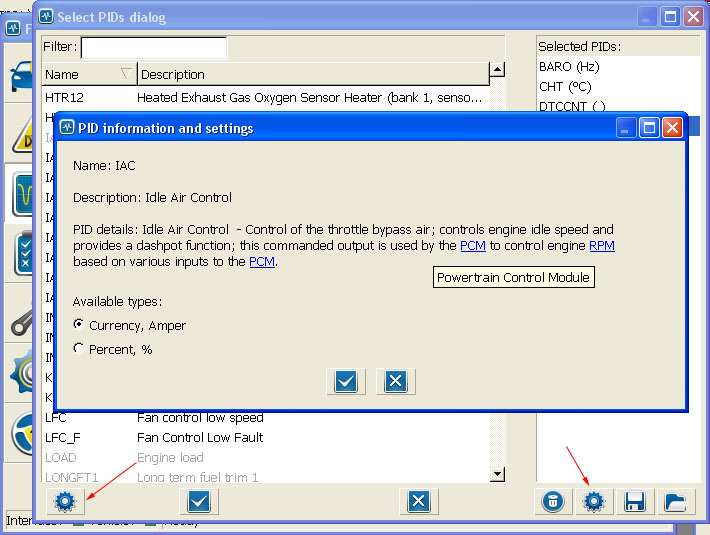 The PID settings window can be called by pressing one of 2 corresponding buttons (marked with red arrows on the screenshot). Left button works for Available PIDs (located in the left part of the dialog). Right button does the job for selected PIDs (located in the right part of the screen).